Chrome is in. Despite its limited scope and continuing overlap with tablets and smartphones, the Chromebook is looking to stay and stand its ground. We take a closer look at the 11.6-inch Samsung Series 3 Chromebook equipped with the same processor as the Nexus 10. Can you go wrong with a $250 laptop? The Samsung Chromebook is aimed at a very specific kind of user: the one who is looking for a low-cost, simple and easy-to-use, light and thin laptop, exclusively for internet access. It can also be used for simple tasks as text editing, but always using online services. In other words, it can run anything that runs in a web browser. 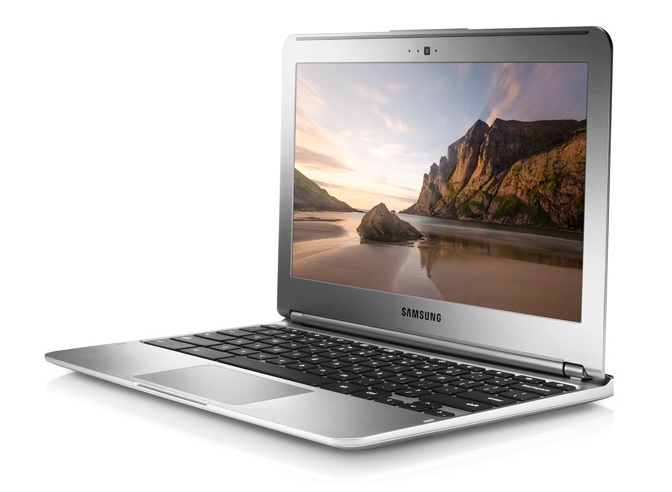 Just as with its pricing, the Samsung Series 3 Chromebook falls in between the competitors. It may not have the longest running time or best performance but it gets the job done and provides a good set of peripheral ports that are missing from its most direct competitor. The keyboard is certainly comfortable as long as you can live with the small size of the system. 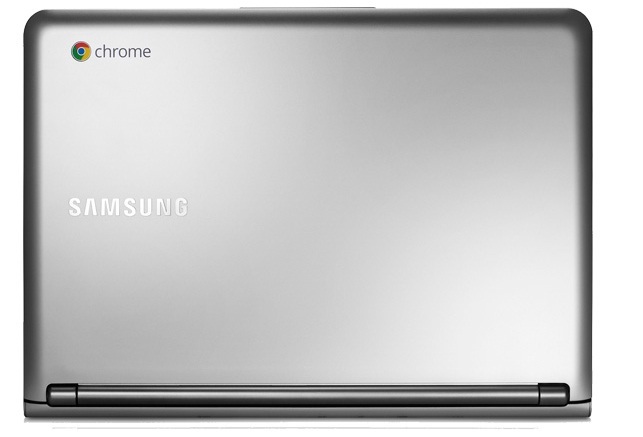 Who will enjoy a Samsung Chromebook? People with simple online needs that want an ultra-portable machine for a bargain cost. 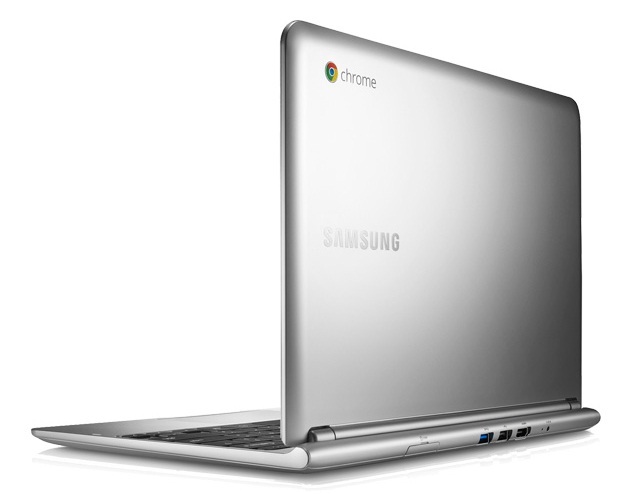 Of the Chromebooks now available, the Samsung Chromebook hits the sweet spot. The Acer Chromebook looks too barebones and the Chromebook Pixel looks like overkill for a web only machine. 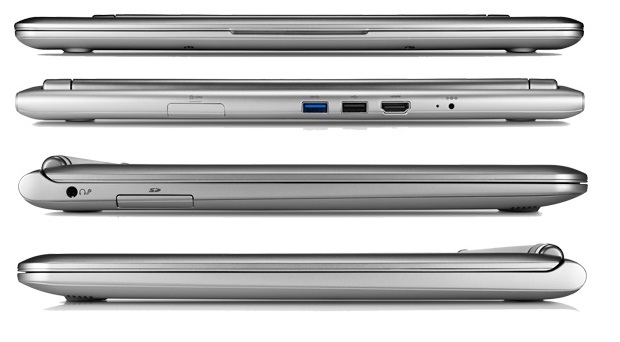 A few others make them, but none look and feel as good as the Samsung Chromebook. While I saw a prototype unit a couple of years ago at Google, earlier versions of Chromebooks have passed me by. Rather different to a PC notebook and also different from a Google Tablet a Chromebook is a category of its own. Unless you require Windows programs then this certainly worth considering as it is fast in running and booting. Traditionally, we'd have said that a Chromebook isn't good enough to be your primary computer, and in too crowded a market with smartphones and even tablets, to consider as a second computer. And actually, it could be a useful second machine, especially if your primary computer is a desktop tower or all-in-one, or even just a bulky, heavy laptop. It's a good chuck-it-in-a-bag-and-head-to-Starbucks-to-get-some-work-done machine. It is, ultimately, good at doing the thing it's designed to do. All you have to do is decide if that thing is right for you. Circling back to the initial question, I found it to be “good enough”, especially for $250. That is coming from someone who owns a MacBook Air and mostly run, you guessed it, the Chrome browser on it. Are you considering a Chromebook? What is holding you back? Share your thoughts with us and our readers! Samsung's Chromebook is a great size for an everyday laptop. However, it makes use of Google's Chrome OS, so it's not like a regular Windows or Mac laptop, and it needs an Internet connection to function properly. It's worth considering if you already make extensive use of Google's services in your everyday work. This Chromebook is really designed for people who do little more than surf the web and create documents and spreadsheets, and who want something light, portable, and with a physical keyboard. It only has 16GB of internal storage, but never fear: Chromebook users get 100GB of free Cloud Drive storage for two years. While the Chromebook isn’t for everyone, it’s certainly a cheap and productive alternative to a similarly-equipped tablet. You don’t get a touchscreen, but you do get extra Cloud Drive storage, better performance, and a keyboard. Has Google cracked the Chromebook second time around? Just about. Clearly you need to be in the market specifically for a cheap and smallish machine for day-to-day web surfing and some light media consumption, but assuming you are then both of these machines do a good job and the price is certainly right. In a nutshell, then, the Samsung is the purer Chromebook, but the Acer is the better cheap laptop. If you’re happy with a laptop that needs to be online to get the most from it, the Samsung Series 3 Chromebook 303C is worth considering. It’s slim, stylish, light, quiet, lasts a good while on a charge, offers a great typing experience and it's available for a ridiculously good price. For students and casual users especially, this non-Windows machine presents an excellent buy - despite niggles like rear-facing connectivity and a somewhat dull screen taking a little of the shine off. Cheap and cheerful - the Chromebook is a bargain for those who just need a device for basic word processing tasks and to browse the web. We can see why it’s taken off in the education market. Despite it appearing to be more secure than the Android platform, we find hard to recommend the Chromebook at this time for business use as the functionality remains limited. WIRED Pricing hits the sweet spot: $250 for the Wi-Fi-only model. 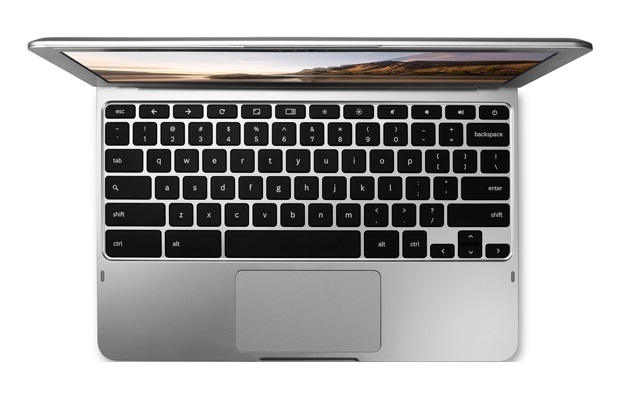 Keyboard and trackpad are responsive and comfortable. Great for watching streaming video, video chatting, and working in the cloud. Good battery life. Supports multiple user logins and office Docs editing. Chrome Remote Desktop app allows you to get into your other computers (Macs or PCs) easily. Updates arrive over the air automatically. TIRED MacBook Air styling is more of a head-scratcher than a head-turner. Display is low-res and materials are far from top-notch. No keyboard backlight. No Bluetooth device support other than mice and keyboards. The Samsung Series 3 does elevate the Chromebook concept a step further, and it's the best one we've seen, hence a slight improvement compared to the Series 5 550's score, but we're still not totally sold. It's a mix of good and bad, which makes for an untimately average experience. Chromebooks were always going to struggle to challenge proper Windows laptops or netbooks for straightforward appeal or flexibility, and Samsung and Google’s first effort entirely failed to recognise that fact. Overpriced and limited in scope, the original model was one for early adopters only. 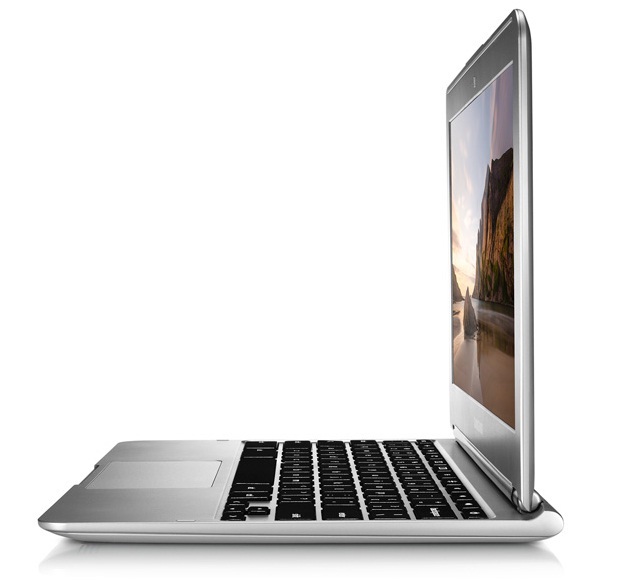 Hardware-wise, the Series 3 is a solid laptop. However, as with all Chromebooks, the sticking point is the software. With this model, you have the advantage of the low $250 price tag. That amount isn’t much for a machine that can do basic tasks fairly well, especially if you know you’re going to use it in areas where connectivity isn’t in question. Samsung and Google are trying to sell the Chromebook as an ‘additional’ computer and at £229, the price is definitely right for a great looking laptop that covers most of the a computing bases but still has some way to go before it can be considered an operating system on par with what Apple and Microsoft currently serve up. 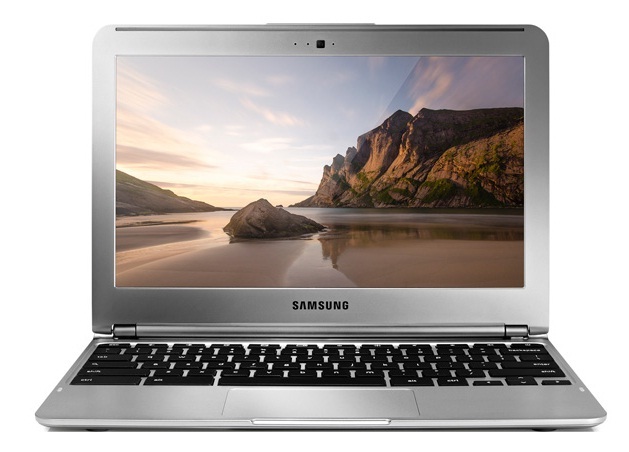 The Samsung Chromebook Series 3 may not rival the latest ultrabooks in processing power, or offer the touch interfaces of tablets and smartphones, but it offers a reasonably priced laptop for those who can get by with web access and cloud-based storage and tools. For budget buyers that don't need much more than a way to get online, the Chromebook is even more affordable than the Editors' Choice Acer Aspire 5349-2635, and is a more palatable option than the more expensive Samsung Series 5 Chromebook 550 (XE550C22-H01). It's also several hundred dollars cheaper than the Microsoft Surface RT tablet, which may have a slick design, but suffers from many of the same limitations. Whether you're a writer pounding out verbiage at Starbucks or a college student researching a term paper, the Samsung Chromebook Series 3 may be all you need, at a price that's hard to ignore. And actually, it could be a useful second machine, especially if your primary computer is a desktop tower or all-in-one, or even just a bulky, heavy laptop. It's a good chuck-it-in-a-bag-and-head-to-Starbucks-to-get-some-work-done machine. No matter how cheap Chromebooks get, they will always be a polarizing class of product: there are some people who couldn't be paid to use a laptop where everything is done in the browser. That said, $249 seems like an appropriate price for this sort of device -- more so than $450, certainly, which is what the last-gen model sold for. Given its $249 price, excellent keyboard, attractive design, and light weight, it’s hard not to recommend the new ARM Chromebook—for users going into the purchase with their eyes open. The latter is a key point: It’s not for everyone, due to the still undercooked Chrome OS, which brings some frustrations and limitations. While previous Chromebooks were too pricey and limited in functionality, the Samsung Chromebook Series 3 comes closest to capturing Google's original vision. With a cost of $249, this notebook gets people online on the cheap and provides a comfortable keyboard and touchpad. The 1.7-GHz Exynos 5 dual processor and 2GB of RAM can't run some of the games in the Chrome Store, but these components should satisfy many user's needs. Samsung’s Chromebook XE303 is one of the cheapest laptops you can buy. But it’s an incredibly capable little machine for a $249 laptop. It’s thin, it’s light, and it feels very fast — even if it doesn’t actually have as much raw processing power as many laptops on the market. If you need to run desktop apps such as iTunes, QuickBooks, or Photoshop, the Chromebook might be a compliment to your primary computer, not a replacement for it. While the Chromebook concept is better on paper than it is in practice, we still admire the fact that Samsung and Google have made a usable, well-built laptop for less than £230. The astonishing battery life makes it ideal for workers on the go, and its relatively cheap price and walled-garden OS is attractive to parents. But stick to Windows or Mac computers if you want anything more. The move to ARM doesn't fundamentally change the performance or usability of the Chromebook. It's still a slow (relative to more expensive notebooks), limited use notebook. That's not necessarily a bad thing, but you need to be aware of what you're getting into with this thing. The display is functional but not very good. Build quality is decent but the new Chromebook is still a plastic notebook. ARM Mali-T604 MP4: Estos procesadores gráficos pueden mostrar únicamente juegos antiguos, fluidamente. Juegos actuales pueden ser presentados con detalles sustancialmente reducidos. 5250 Dual: Dual-core Cortex A15 con una tarjeta de video ARM Mali-T604. 74.79%: Esta evaluación es mala. La mayoría de las portátiles son mejor evaluadas. Esta no es una recomendación para compra.